Here are the how to make fondant recipes and instructions, as well as, how to apply and store fondant. My passion is the fondant cake. Creating a delicious, unique, and beautiful fondant cake is a great joy. 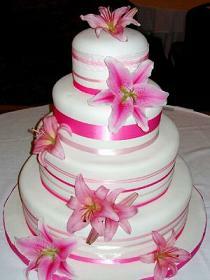 We also invite you to visit our How to make a wedding cake page for great ideas on baking and stacking cakes. 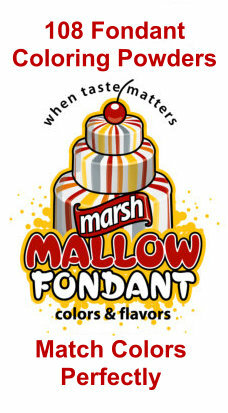 If you want to see ideas for the wide range of fondant colors and flavors available I highly recommend checking out Marshmallow-Fondant.Com. We do not use pre-made cake fondant, instead we hand make all of our fondants. We share our recipes so our clients know exactly what they are getting. There are three types of fondant icing that I have discovered through my journey of cake decorating. Marshmallow, Rolled, and Butter-cream. Our first how to make fondant recipe is the marshmallow fondant. This is a very easy to make recipe and is our most popular. How to make fondant very easy, all you do is put the marshmallows in a microwave safe bowl, add the water, and put it into the microwave for 2 minutes. Stir marshmallows making sure it’s all melted, then add your flavoring and powdered sugar to your liking. Knead dough on a powdered sugar surface and keep adding powdered sugar to make dough less sticky and more workable. There you have it! Allow your fondant to set up overnight covered. Before you use, microwave for 30 seconds and knead until smooth and pliable. Use fondants to help cakes come to life. Wedding cakes are not the only use for fondant. We are making fondant for birthday cakes, bridal shower cakes, baby shower cakes and others. 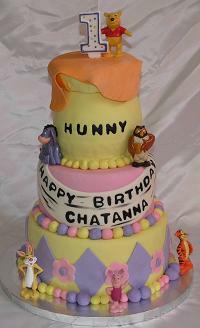 Visit our fondant birthday cake theme pictures. Matching the unique style, color and taste is a new adventure with each of our clients. By using fondant, we can integrate art into your cake creating that special look limited only by your imagination. Mix water and gelatin and let stand for 5 minutes. Heat in microwave about 30 seconds. Add shortening and stir until melted. Pour into glycerin and glucose mixture. Add flavoring. Pour into the powdered sugar and fold until blended. Knead the fondant until smooth and workable. 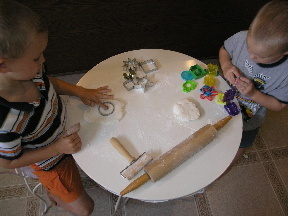 When kneading and rolling fondant, be sure to use a powdered sugar work surface to keep fondant from sticking. This type of rolled fondant is the most time consuming but it tastes great! My kids love eating it without it being on a cake. It also makes great dough for children to play with as mine do. It tastes great and works just like edible play dough for kids. This is how to make fondant fun! Mix shortening, syrup and flavorings together. Add powdered sugar one cup at a time. If you want to make a chocolate rolled butter cream fondant just add ½ cup of cocoa to sugar before mixing. My favorite tasting fondant would be the regular rolled fondant just because it has a more buttery flavor because I use butter flavored shortening and butter flavoring. The buttercream fondant is shinier and is used mostly for wedding cakes. The Marshmallow is easier to make. I like using all 3, but when I make your custom cake, it will be to your liking, you choose the fondant cake decorating type we will use. We appreciate input from our visitors and welcome new ideas, pictures and special recipes. Comment on how to make fondant here. Coloring fondant is always fun to me. I love to paint and see color go on a wall. Fondant is just the same. I love to see a colorful cake. This example is how to make black fondant but I have made pink, blue, green, and some nice pastels. Just add the packet of fondant powder color you want to warm marshmallows and get that color every time. It also helps me when I need several batches of the same color for a larger tiered cake... they all match! If I'm just too busy they also sell every color ready make and have the best pricing I've seen on fondant, just saying. I was taught to use gel coloring for fondant but I have found a better way that won't stain your hands or make a big mess. It's a powdered color sugar packet by Marshmallow-Fondant.Com and they got just about every color you can imagine. This procedure is the most fun to me; I get an arm work out along with getting out my frustrations, LOL. I call it my stress therapy. 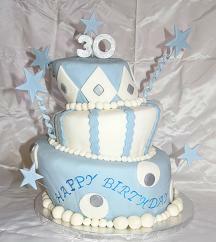 View Some Pictures of Our Colorful Fondant Cakes. See Just Made Cakes Fresh Out of Our Oven. In the example below, we are using the marshmallow fondant, which is the most difficult to work with, but taste great. It is our most requested fondant. As you may notice in the how to make fondant video above I use a single wheel fondant cutter to trim the excess fondant. I use a small 2.5 inch fondant cutter for smaller cakes like 4, 6,or 8 inches. It’s easier to control around tight turns. I also use it on my creative cakes like cars, hats, and other tight turns. The other size I use is the larger 4 inch fondant cutter for larger cakes like 10, 12, 14, and 16 inches. 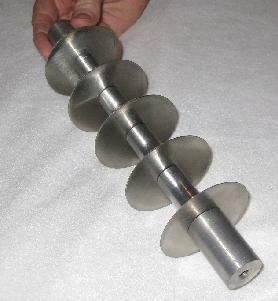 The 4 inch cutter is also great for sheet cakes, square cakes, and other straight or long cuts. 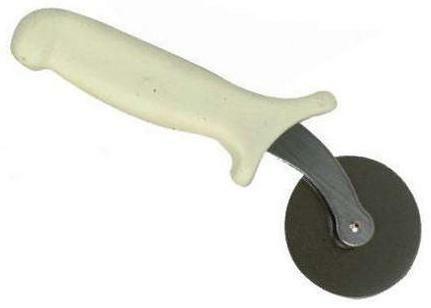 I also use this very sturdy adjustable fondant cutter for all of my ribbon cuts. After going thru a few plastic cutters I found this stainless one that should last me a while. Adjust it small and see how to make fondant hair, spaghetti, rice, grass, and get creative! I also use it to cut fondant ribbon for my bows and to dress the bottom of fondant covered cakes. Use royal icing or a dab of water for your glue. Want to know how to make fondant wrinkles disappear? Like makeup, fondant ribbon will hide those wrinkles! Steph has what it takes during crunch time for the Marriott's three foot corporate cake with a floating fondant cake. Have your "volume on" for this one and HANG ON! Fondant dries out quickly if left unprotected. I have found that a vacuum-sealed container works best. I usually store fondant no more than a week because I make it fresh weekly and use during that same week. Each Monday I make enough fondant to last me for the entire week. I then place it in the Genysis containers and vacuum seal. 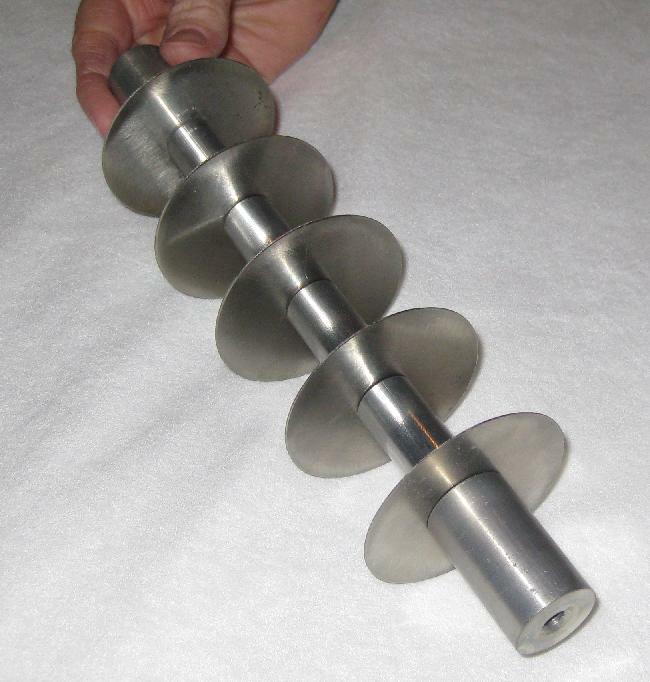 When I am ready to use it I put in microwave for about 20 to 30 seconds then kneed till pliable and roll it out. Even after a week, the fondant is as moist as if I had just prepared it. The vacuum container keeps it fresh so I can make enough fondant to last all week. 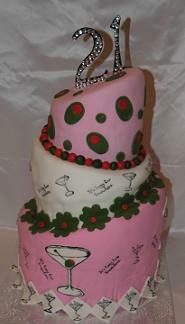 You can also store fondant cakes in the freezer safely for a full year if properly prepared.